Emma Livermore, Manager of our Norwich travel agents in store at Jarrolds, travelled along the Rhine River on board Titan’s Serenade 1. Here is how she found the ship and the highlights from the wonderful towns and cities she got to visit. Our flights, in both directions, were with British Airways and I had no complaints about either. Both were quite short and we were landing as soon as we had taken off. The seats were comfortable with good leg space and the staff were very friendly and attentive. We checked ourselves in at Heathrow, which was a really quick and easy process. We used the new electronic check-in machines and, once our boarding passes had been printed, we went straight through and dropped our bags off. The new process saves so much time. It took about five minutes in total and saved us from queuing at the check-in desks. It makes for a much more pleasant experience at the airport. We were allocated an A grade Chopin Superior Cabin on the Chopin deck. I had no faults with the cabin at all; it was a great size with tea and coffee making facilities and a mini-bar (additional cost) too. The bathrooms were very spacious with a separate shower and bath, which I was not expecting. We had large floor-to-ceiling windows in the cabin with a sliding door and French balcony, perfect for the views when you’re sailing in the daytime. There was lots of wardrobe and drawer space to store your clothes and there was even a table and chair in the cabin. The onboard lounge had plenty of seating available, as well as a library in the corner with a good variety of books and board games. The lounge is surrounded by large windows, making it very light and a great place to sit and watch the scenery as you sail by. There was also a tea and coffee station next to reception available 24 hours a day. This was always topped up with freshly made biscuits which were extremely popular with all of the guests on board. The open deck at the top of the ship had a good variety of sun loungers, chairs and tables and, towards the front of the ship, there were some sofas too. As well as this, there was a large outdoor chessboard for those that wanted to do something a little more than watch the world go by. There was also a small gym and sauna too. Arnhem – We had an included excursion to the Airborne Experience museum, followed by a walking tour of Arnhem itself. Koblenz – We had a trip on the cable car up to the 19th-century Ehrenbreitstein Fortress with a tour included. After we returned on the cable car to Koblenz, we had a walking tour of the city. 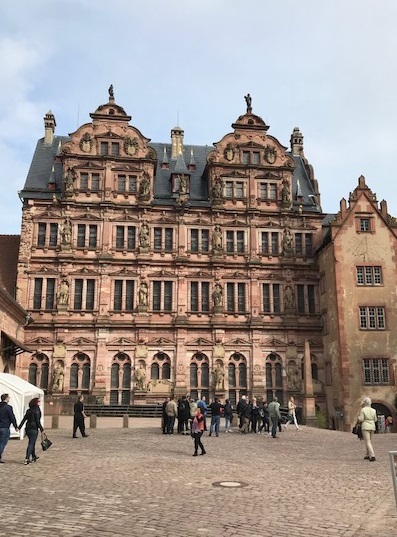 Manheim – We travelled to nearby Heidelberg for a tour of the Castle. Strasbourg – We had a walking tour of the city followed by a cruise along the canals. The river cruise was on a full-board basis and included wine and beer with lunch and dinner. 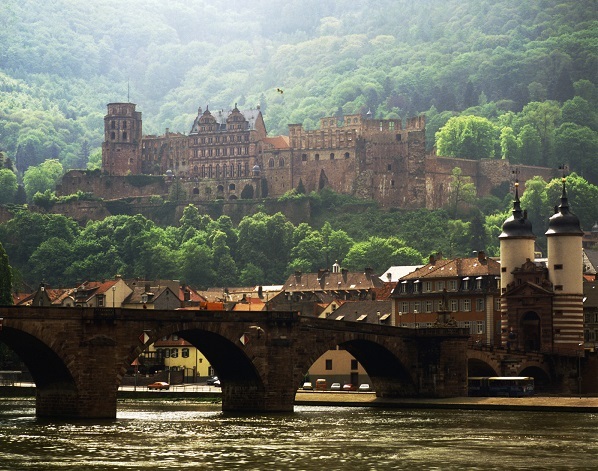 I really enjoyed the excursion to Heidelberg; it's such a pretty little town. There are lots of little streets with cafés and shops, but the highlight is the beautiful castle at the top of the hill. To get to the castle ruins and the gardens, we took the lower funicular railway which runs between the town and the castle. The views are just as stunning whether you look up at the castle from the town or if you’re looking down from the castle on all below you. The ruins were fascinating and surrounded by some beautiful gardens too. It's certainly something you shouldn’t miss out on if you’re visiting the area. I would definitely recommend a trip similar to mine. MS Serenade 1 is a truly lovely river cruise ship to sail on – the staff were extremely friendly and helpful. We visited some great towns, the excursions provided great days out and the local guides were extremely knowledgeable and friendly too. The food on board was very tasty. There was plenty available and the choice was excellent so you would never go hungry whether it was breakfast, lunch or dinner. Overall, it was a fantastic experience and a great way to travel along the rivers of Europe. The entertainment on board is quite low key. There was a fantastic pianist who had everyone up and dancing most nights and there was the occasional singer too. There were also two gala evenings, which I haven't experienced before – a captain’s welcome and a captain’s farewell, as well as a pirate-themed night which the whole ship took part in. It created a lovely atmosphere and all of the guests got involved. If you would like to try a river cruise for yourself, our team can offer some great recommendations and advice. Call into any of our travel agents in Hampshire, Suffolk, Norfolk, Essex or Dorset for more information.